Cadbury previously released a couple of bars in this style, where there is a biscuit combined with chocolate. They even tried a savoury mix with Ritz biscuit which was a nice combination of sweet and slightly salty. 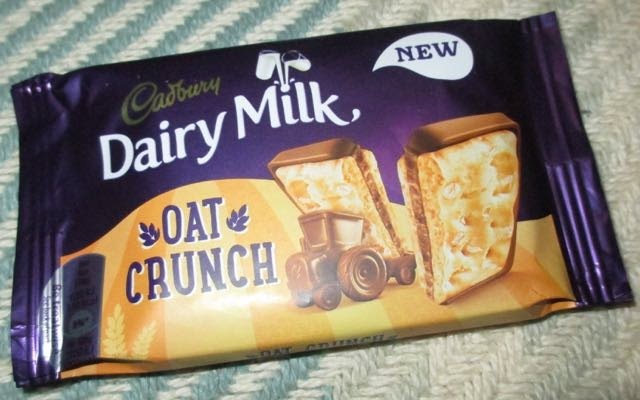 The latest edition in the range is this Oat Crunch version. 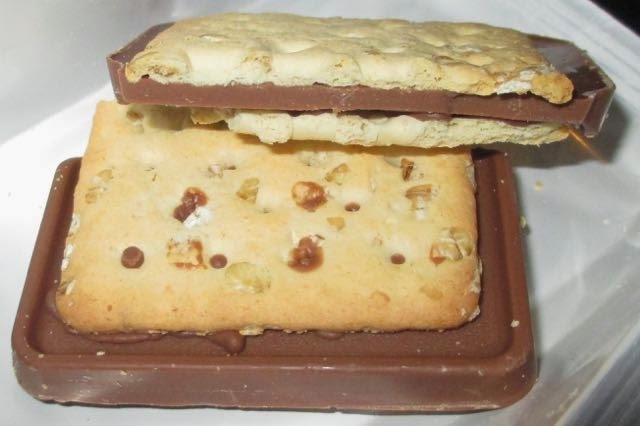 It is aimed at the elevenses market, with there being enough chocolate to be sweet and enough biscuit to make it acceptable. As mine was very kindly posted to me by Cadbury (much appreciated) it did have a little bit of damage and some of the biscuit had fallen free. I therefore ended up trying the biscuit first, on its own. I have to admit it didn't seem to have that much flavour, it wasn't too sweet, and it wasn't very strong, there was just a pleasant mild oat taste. It wasn’t that exciting. The bar itself has good proportions of both the chocolate and the biscuit layer, both are quite thick, and although this is very much a light snack it does seem quite substantial. So I tried the bar with its chocolate and oat biscuit together, as it was supposed to be eaten. The chocolate and oat together transformed what had seemed like a plain biscuit layer. It made the bar feel wholesome and the two tastes just worked perfectly together. Oats and chocolate hand in hand, satisfying and tasty. Perfect with a morning cuppa to get you through to lunch.